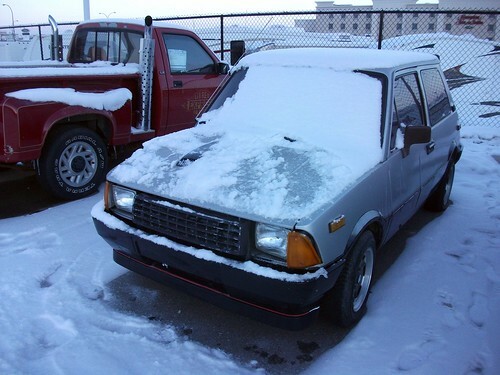 Lada USA Discussion Board :: View topic - Whatever happened to Dacias in Canada? Posted: Sat Jun 18, 2011 7:21 pm Post subject: Whatever happened to Dacias in Canada? I know that Dacias were sold in Canada back in the 80s, but it's almost as if they never were. Ever since high school I'd look them up in old car review books and desperately try to find them on classified ads websites. Every year or two a Lada Signet turns up, every 6 months a Samara pops up and at any given moment there's always a Niva for sale in Québec. I'm aware of former Lada dealerships in Québec, but I can't find any info on Dacia dealerships. It's almost as if no one wants to admit they had any part in it. Perhaps I should try finding an old phone book. I also know Dacias were notoriously unreliable and would often end up for sale, with rust spots, after only two years at about half their original price. Does anyone in Canada drive, or at the very least own a Dacia? What happened? I have yet to even see a recent picture of a Dacia 1300 in Canada. used parts to keep their old dacias going-you would never see the "big"
car companies doing something like that! pretty cool. There are also three videos on Youtube of two different Dacias in the USA. I've been looking for them regularly on kijiji and lespac ever since high school. So hard to find. 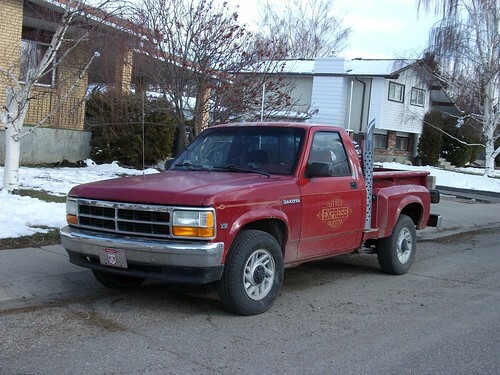 There used to be a dealer in Calgary, they also sold the ARO 4x4 in various configurations. The ARO is now built in Brazil, and is sold in Texas. The Dacia's around Calgary have all been crushed by now, though I recall seeing one on a farm between Nanton and Longview... Alberta... very obscure While you are on the topic of obscure cars sold in Canada, lest we not forget the Italian Innocenti , it came in turbo, normal and diesel configurations, the turbos were tagged De Tomaso ( who owned the company), and were remarkable handling cars. 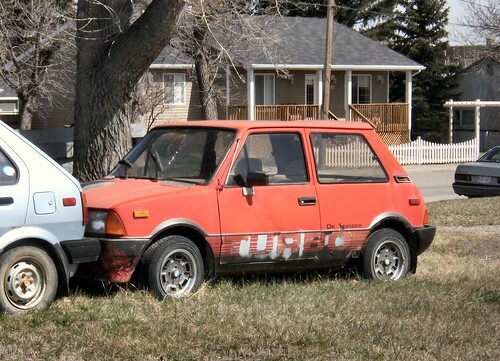 The Daihatsu 3 cylinder motors were vulnerable to heating and vapour lock issues with the turbo/carb setup.... my new one was sold in 1989, to a rally guy in Calgary, it probably went to pick a part for disposal......? Usually there's an Innocenti or two for sale each year in Québec on kijiji or LesPac. Generally, the owners are looking for top dollar. The last one that was for sale here was in pristine condition and the guy was asking for something like 13000$. Made from 1990-1992 the Li'l Red Express based on the Dodge Dakota. All had the 5.2L V8 engine and sold in small numbers. Dealer option produced by LER Industries of Edwardsburg, Michigan included fiberglass step sidebox, exhaust stacks and decals. model classic in itself. Congrats on a cool ride if it is your truck. Dacia sold well in Canada in the period 1980-1987. At one time they were used as police cars in Canada in certain areas. Dacia cars made ​​for export to Canada and especially enjoyed superior quality. Export cars to Canada were well tested and used parts often very good French and German. In the '85 my family bought a car for export as Canada. The Dacia 1410 was 5SPEEDS GTL. It was a saloon at that time still had incorportat system that Volvo later called SIPS. It had a 1397cc engine, 5-speed and work very well. The car was originally made ​​for police stakeout in Canada but for some reason remained in Romania where my father managed to buy new from the factory. It was more expensive but worth the money. I used the car 9 years and was finally sold for the price that it cost us. The body was treated corrosion is introduced in zinc bath. Sorry I do not have a picture of it. was dclarat with 65HP engine but the stakeout had 84.5HP and desvoltau 110MPH (180km / h). In my opinion these models were the most successful in the socialist camp.